As long as you have it activated it is taking one powerup slot. Once you deploy it, the powerup icon change showing you that you can switch it to the front and back. Hiting that powerup button switch it to the front. If you hold button, you drop the shield allowing you to take a second powerup back again. Third point: holding the input for shield would drop it, so imo, twisted is close to the best of every world. At most make the shield have a max time limit that can be upgraded - but keep the slot clear imo. Additionally, to ad to shield functionality, I would like to see the devs play with the idea of timing the activation of your shield to deflect missiles i.e. missile incoming, warnings beeping, impact imminent, activate shield and the missile is deflected, the driver left with an active shield. If you want to play it safe, activate early and lose the shield in the impact. If you mistime it, you wear it. Ad a bit of nuance to things. - Picking up the shield is just about luck really, a variable which cannot be determined. When I say it's OP it's not because of that, but rather because once you have it, you can pick up two other powerups for a total of three making you stronger than the majority of your opponents. The more the game is balanced, the closer the pack of cars will be to each others, a crucial point in an action game that is about fighting your opponents. - You have to keep in minds that a lot of players asked for having the shield switchable to the front, including being able to drop powerups... features that could be hardly implemented with the limited control scheme of a gamepad. The solution I propose include all this with one single button. - I think that it would add even more strategy, asking yourself... ''should I get rid of my defensive shield at the expanse of gaining one more offensive weapon but risk getting hit or play it safe and balanced with one offensive and one defensive weapon?'' It gives you the choice, the choice of playing it offensive or defensive. Right now, you don't have it, it's about forced strategy because you can't choose when you will be OP as it's determined by luck, the luck of picking up the shield and two other weapons. The solution I propose still gives you the ability to attack, it's not like you were losing the other slot anyway. You have to keep in mind the shield is the only permanent powerup in the game, so it's a privilege, a powerful one rather than a crutch. And the fact that you gain the ability to switch it to the front makes it less static, more fun interaction-wise and slightly more powerful (to counter the lost), by giving you the ability to hit a mine without a scratch if inadvertently you see it at the last second and it's too late to jump over it. In fact, I think we should be able to ram any mines and the only thing that should break the shield is missiles. This way, people will feel that even if you miss one pickup slot, the shield is valuable. I can already see me switching between front and rear to save my ***. Add to this a flares powerup for avoiding missiles and it would be totally awesome! Last edited by twisted on Sun Aug 13, 2017 12:37 pm, edited 5 times in total. I stand by my comments man, the shield may be the only persistent weapon in the game but it is largely the only counter to the majority of the other strictly offensive weapons. Set and forget works for me. Regardless, one missile strike will remove the 'privilege'. The second will own you. The argument re 'i get to hold more weapons then other players at a particular time', may also be redundant, often there is time enough to use a weapon between pickup locations and fundamentally one slot will do - not that that's my argument. I would be concerned if suddenly I found myself carrying three shields but that never happens. And man, while you're collecting weapons the rest of the field isn't static, they're collecting weapons too and may well end up with an active shield and two full slots. I'm not against the potential to absorb weapons to recover health or boost. Not against a switchable shield ether as a counter to mines (and the eventual inclusion of the reversing leader missile ) But I'm very comfortable with shield persistence and the two slots. No sacred cows I get it and I'm happy to play with anything (it will be balanced in the end). playabot wrote: Additionally, to ad to shield functionality, I would like to see the devs play with the idea of timing the activation of your shield to deflect missiles i.e. missile incoming, warnings beeping, impact imminent, activate shield and the missile is deflected, the driver left with an active shield. If you want to play it safe, activate early and lose the shield in the impact. If you mistime it, you wear it. Also, the concept of the shield not taking up a weapon slot is from Rollcage, thus the support/complaining from vets to keep it like that. Rollcage balanced this out by having shields deteriorate on nearby explosions and running into walls, which meant shields didn't last all that long. 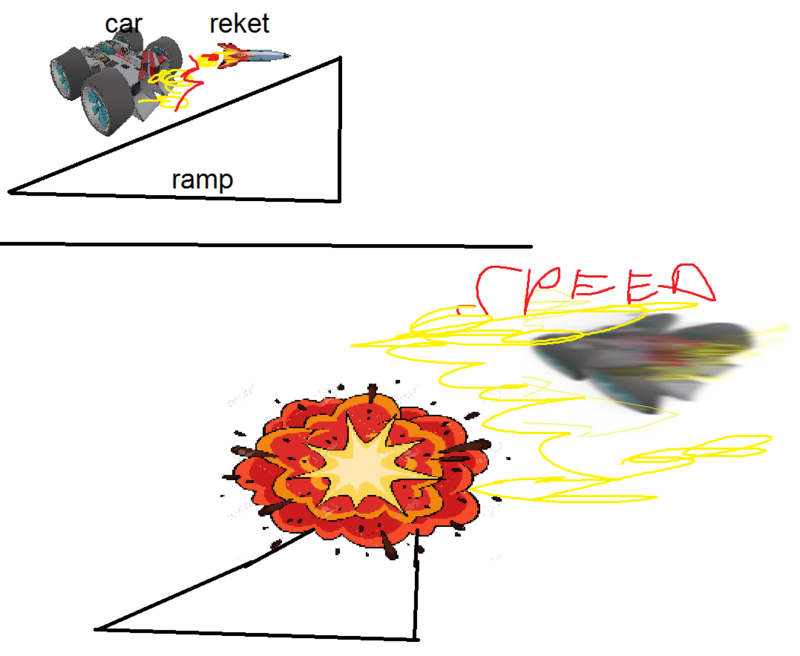 GRIP doesn't have this mechanic and as a result racers are guaranteed surviving at least 1 weapon hit, in a game where weapon hits are less common due to it being more spaced out than Rollcage. Twisted's idea has been discussed in 2015 too, but vets really don't like it when you take away their powerup slot (me included). Personally I say slap a timer on the aegis. Make 'em last 5 or 8 seconds (or until weapon hit), then disappear. +1 on Broscar's quote above from playabot. In my taste, this functionality outweights the drawback of an occupied slot considering mines, opponents facing you with gattlers in arena AND soon perhaps, the assassin hitting you from the front! ...which is why I'm changing camp. I also like Twisted's notes on the shield. Takes a slot, can switch back n forth by tap (or slight hold), then hold to drop. Chris_CE wrote: Takes a slot, can switch back n forth by tap (or slight hold], then hold to drop. Reviving this thread after re-reading it. The Aegis Shield is the most boring part of the game, and that's always been true for the majority of racers that have them but what if we spice it up a bit? Dropping the shield with holding input, well doesnt holding input already take up the charge ability? How about dropping the shield as a defensive obstacle like mines? Have the shield itself become a deployable wall, that could be destroyed or smashed through for a reduction in speed or take a hit to the hull. The trade off would be it deployed shields won't stop aerial attacks like Scorpions and it would time-out so you don't have shield walls everywhere. Could bring more interest to both leading and following with strategic risk/reward placement and people not so eager to waste pickups that could destroy the shield-obsticle. Just use the classic input for defensive measures, holding down while using the shield. fenixblue wrote: Dropping the shield with holding input, well doesnt holding input already take up the charge ability? I was referring to the fact (poll at http://www.strawpoll.me/14610171/r) that majority of players said double tap should charge. *sigh* I'm so tired. Rest, not so hot since dropping would have to be consistent across all other items. What's with dropping the gattler or the missiles, would that make an obstacle too ? Better drop them as pickups for others to pick imho (again, for coop play). Yeah i've seen the doubletap charge, could work and I would be for trying it out, but for now it's holding input. So that's what I will react to. Queadah wrote: Rest, not so hot since dropping would have to be consistent across all other items. What's with dropping the gattler or the missiles, would that make an obstacle too ? Better drop them as pickups for others to pick imho (again, for coop play). Totally disagree, this is an awful reach to shoot down the idea. The Aegis Shield is already a wall that can stop projectiles, it's not even a logical leap that it could effect cars as well if it was dropped onto the ground and act much like the holographic barriers around the track. It's also easy to spot a green wall compared to the small mine indicator. We have no defensive weapons in the game right now and the mine still hasn't returned. Grip's weapons are too 1 dimensional in their use. We need some more versatility in how Pick-Ups work if you want strategic depth. MK allows banana's to be lobbed forward (hold up while firing), held as a shield, or dropped as an obstacle. MK also has bombs that can be lobbed forward exploding on impact, or left on the track as a timed bomb. MK allows you to shoot green shells forward, bank off walls to hit, hold as a shield or fire behind (holding down while firing). Stars and Barges(Blur) are both offensive and defensive. Blur allows you to fire bolts in-front or behind, and like redshells shunts can be used to lap the track when you are in first. Allowing multiple uses opens up more creative ways to play. None of these things are hard to understand for millions of players for decades that special inputs only applies to certain weapons. And it's totally nonsensical to expect to be able to deploy the Raptor in the same fashion as an obstacle.